OK, at work we are testing a new software package – ArcGIS for Windows Mobile. The name is a mashup of two software package names – ArcGIS (ESRI) and Windows Mobile (Microsoft). Yes, it is a cumbersome name. Really, really cumbersome. It is nothing more than a lite version of ESRI’s ArcGIS software designed specifically to run on the Windows Mobile OS. Never heard of Windows Mobile? Don’t worry, you haven’t missed much. It’s an operating system that saw its widest use on mobile phones. Notice I didn’t say ‘smart’ phones, because Windows Mobile was (and still is) an awful operating system that made every piece of hardware it touched dumber. Same for its users. I’m sure when Steve Jobs was yelling at his software engineers during the early stages of Apple’s iOS development he forced them to use Windows Mobile phones so they clearly understood what iOS would not end up looking like. Microsoft has moved on and introduced their new Windows Phone OS that is based on the Windows 8 platform. However, their Windows Mobile OS hangs on in a few interesting places. It’s used a lot in ’embedded’ applications, computers running inside of other things that don’t look like computers. For example, the Microsoft Sync system that controls just about everything in my new Ford F-150 is a version of Windows Mobile. Another place Windows Mobile has achieved a lot of market penetration is in the surveying and GPS-based data collection market. These are highly customized hardware systems that are more than mobile phones but less that full-fledged computers, robust devices dedicated to a narrow set of field data collection tasks. Virtually all manufacturers of surveying and GPS-based field data collection systems use Windows Mobile – there’s really nothing else available today that meets the need. Two of the devices in this picture run on Windows Mobile. The rest are easy to use. Because of this ESRI still develops a lot of software to run on the Windows Mobile OS (now up to version 6.5 and renamed Windows Embedded Handheld). 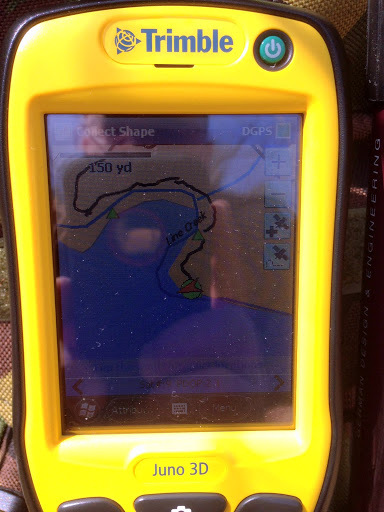 ArcPad, ESRI’s flagship field data collection package, has been running on the Windows Mobile platform for almost a decade. A few years back ESRI released a version of its server software (called, naturally, ArcGIS for Server) that allowed the user to develop GIS applications that run on Windows Mobile handhelds and consume map services hosted on a local ArcGIS for Server instance. We tested this at work but came away with the impression that the whole system required more care and feeding than we were able to provide. 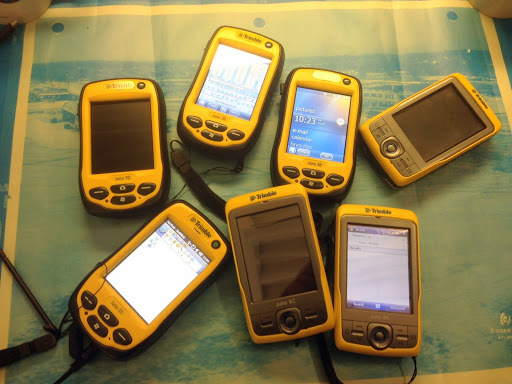 In addition, our IT department was never willing to cooperate and provide a way to authenticate these mobile devices (Trimble Junos) on our organization’s domain so they could ‘see’ our internal GIS software servers. Instead, we’ve spent the last year developing mobile GIS applications to run on Apple iOS devices – iPads and iPhones – and leveraging the new hosted map service concept available through ESRI’s ArcGIS Online cloud service. The entire system works amazingly well and our users like the idea of collecting GIS data using an iPad (plus they can play Angry Birds in their down time). But as we tested and developed in this environment we quickly bumped up against another roadblock – again, our IT department. 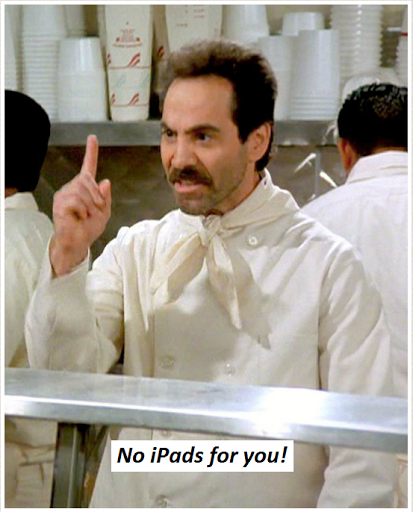 They repeatedly refuse to approve the purchase of iPads for the user base. No real explanation – they say no just because they can. We were stuck and desperate for an alternative. This all changed in late February with the release of ArcGIS for Windows Mobile 10.1.1. The #1 change with this new version is the ability of the software to connect to an ArcGIS Online subscription account and use a hosted (cloud) feature service as a data layer. We no longer are forced to use our local instance of ArcGIS for Server as the data source. Since the data is hosted in the cloud all we need is a wi-fi connection and an ArcGIS Online subscription account to get to our data. The need to have our mobile devices authenticate on our organization’s network is gone. Our dependency on our local IT department is severed. The other big benefit that ArcGIS for Windows Mobile brings is the ability to do disconnected editing when there is no wi-fi signal available. This was always a concern with the iOS devices, which require an ‘always on’ internet connection when being used to collect data. ArcGIS for Windows Mobile works differently in that the application places a copy of the map layer’s database directly on the mobile device when it is first downloaded from ArcGIS Online. 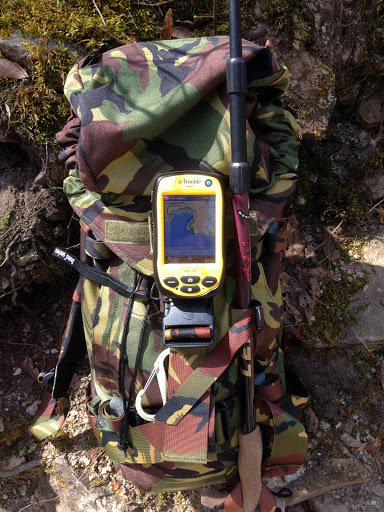 In the field a wi-fi connection to the internet is not necessary – all the newly collected data and edits are stored on the mobile device. When the user get back under wi-fi coverage they can do a synchronization of this new data with the master database stored in the cloud on ArcGIS Online. The new data is pushed up to the master database via a wi-fi connection to the internet – any wi-fi connection to the internet; in the office, in Starbucks, in McDonalds, wherever they can get a signal. Simple, slick and robust. But why Trimble Junos? While our IT department balks at the purchase of iPads, they have no problem with us purchasing Junos even though the current generation of Junos cost about twice as much as an iPad!. 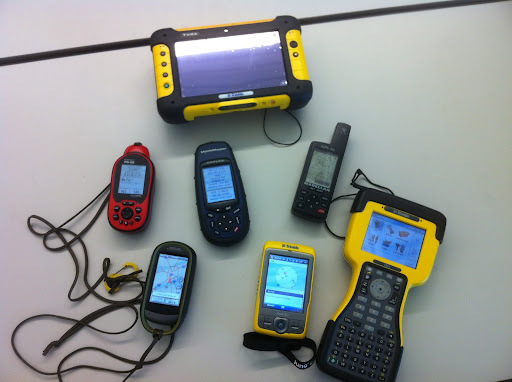 IT views them as dedicated field survey devices and allows us to buy as many as our budget can support. Over the past two years we’ve purchased seven of them so we have plenty of hardware available to put into the hands of our users. So like any good Geospatial weenie I figured I needed to test my applications before unleashing them on the unsuspecting public. To acquaint myself with the workflows embedded in ArcGIS for Windows Mobile I set up a project to collect data during one of my favorite activities – hiking. Then it was time to take ArcGIS for Windows Mobile to the wilds of suburban Atlanta for the ultimate test: can a befuddled 56 year old make sense of this mobile thing and actually collect useful data? So how did everything work? Pretty darned good. In fact, better than I expected. The simplified workflows in the ArcGIS for Windows Mobile interface make collecting data almost foolproof. I only had a chance to capture about two miles of trail information and some points of interest, but it was enough to convince me this mobile GIS interface will work just fine for most of our user base. Of course it’s an imperfect world, and so is this application. I’d love the ability to collect photos while remaining in the GPS data streaming mode, and being the GPS geek that I am I’d like a better GPS performance interface (similar to what you get with ArcPad or Trimble’s TerraSync), but I also understand this package is designed for simplified data collection by non-GIS personnel, so I can live with the lack of GPS performance data. Yellow SO clashes with my woods gear! Of course all this simplification also serves as a straightjacket. What you give up with the ArcGIS for Windows Mobile interface is the ability to make on-the-fly changes to your project – add new data types, change symbology, adjust GPS performance parameters, do complex searches, buffers, etc. It’s a trade-off; reduced complexity = fewer options. It’s a trade-off my organization can live with. ArcGIS for Windows Mobile up close and personal. A simple interface that works well on devices with small screens. 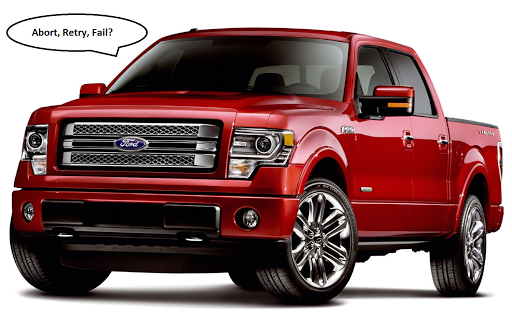 The REAL elephant in the room is the overall cost of this capability. ArcGIS for Windows Mobile is an enterprise level solution for enterprise level projects. As configured this project relies on an ArcGIS Online subscription account as the data hosting platform and ArcGIS Mobile deployment licenses tied to a very expensive ArcGIS enterprise license. This equates to about $55,000 in licensing costs (toss in another $1,200 or so for the Trimble Juno). Obviously this is not for the little guy. But it should be, and it can be! Let’s say you are a Geospatial geek like me. Right now, today, if you participate in the ArcGIS for Home Use Program you get one free user license for ArcGIS for Windows Mobile. The software package includes a toolset that allows you to stage all your data on your local computer instead of on ArcGIS for Server or in the ArcGIS Online cloud. You don’t get to wirelessly update your data – you have to connect the device to your computer via USB to do the synchronization process – but the rest of the workflows are the same. A great (and cheap) way to test this capability for yourself. You just have to go find a compatible Windows Mobile device (check eBay, there’s plenty for sale out there). Looking into the future I see ESRI opening the ArcGIS Online subscription program up to market segments that don’t need and can’t afford to buy into the service at the current enterprise-like levels. It’s almost an inevitability. There’s a lot of emerging competition in the cloud GIS services arena, and companies leveraging some of the better Open Source GIS tools will start to provide low cost cloud hosting services in direct competition with ESRI. Of course ESRI has the market share and clout, but the ‘cloud’ is a huge space, there’s a huge potential market, and ESRI can’t control it all. Price competition will soon have its inevitable impact. Plus, ESRI is pushing ‘the cloud’ like it’s the Second Coming and at some point they will realize their service availability will have to mesh with their message. As they move more and more capability to the cloud ESRI will have to start offering low cost services for the little guy. Maybe not this year, maybe not next year, but soon. In the meantime use what’s available and get moving on Mobile! 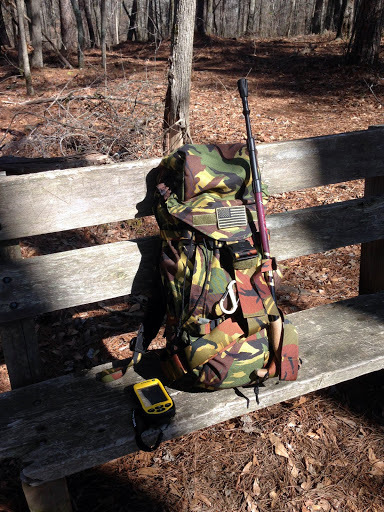 This entry was posted in General, gis, mapping and tagged hiking by Brian Haren. Bookmark the permalink.